February is American Heart Month, a time selected by the American Heart Association to raise awareness about heart disease, the leading cause of death for both men and women in the United States. Fortunately, eating for heart health is not only nutritious and delicious, but easy to do when shopping at your co-op. High-fiber foods, healthful fats, and smart protein sources are important ingredients to living a heart-healthy lifestyle. Contrary to popular belief, not all fats should be avoided; polyunsaturated and monounsaturated fats, which include omega-3 fatty acids, are part of a complete heart-healthy diet. These fatty acids may reduce inflammation in the body and help lower the risk of heart disease. Olive oil, ground flaxseed, walnuts, and fatty fish are great sources of foods rich in omega-3s. 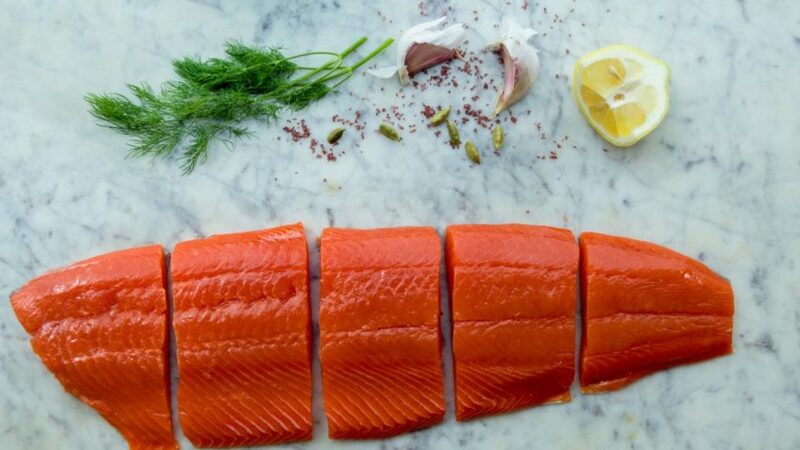 An excellent source of high-quality protein and omega-3s available at your co-op is sustainably wild-caught Alaskan Sockeye salmon from local Minnesota producer Surrender Salmon. For adults, the recommendation is to enjoy at least two servings of this omega-3-rich fish per week. In addition to promoting heart health, eating wild-caught salmon also supports healthy vision, brain, and immune system functioning, and is rich in calcium, potassium, and Vitamins B and D, which support healthy bone development and promote rapid muscle repair and rebuilding. In comparison to farmed salmon, wild-caught salmon provides lower saturated fat and fewer calories. Show your heart some love with Surrender Salmon’s Sockeye fillets from our Meat & Seafood department. Try them in a delicious citrus-glazed salmon fillets recipe.